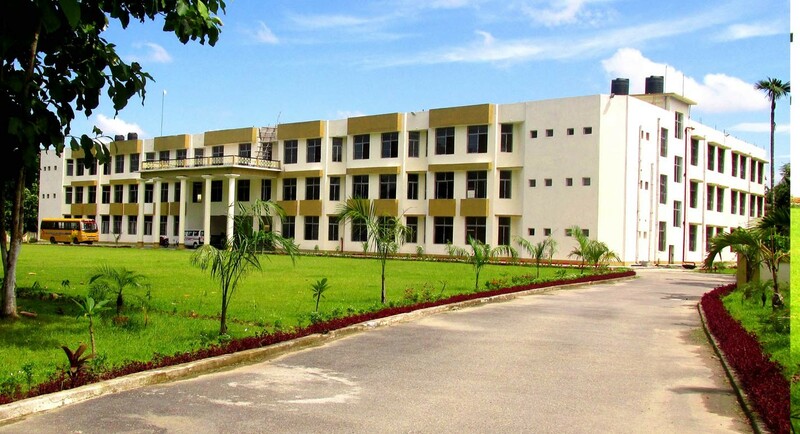 Do you required hostel facility? 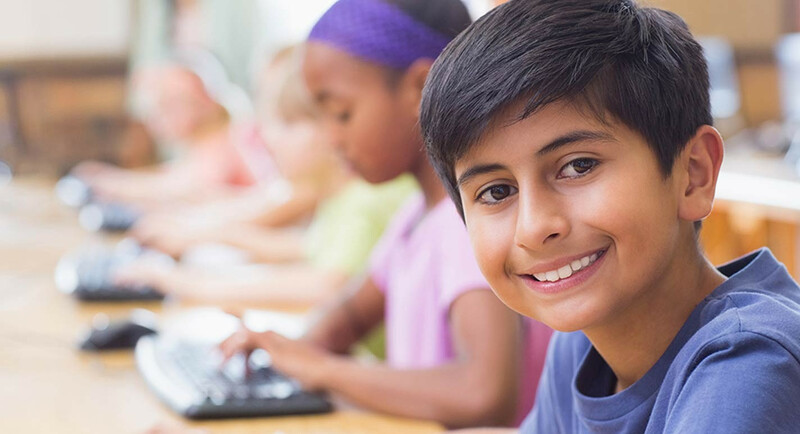 Do you required School transport? 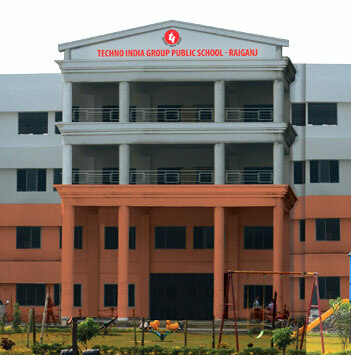 Techno India Group Public Schools under the aegis of Techno India Group has contributed significantly towards education in Eastern India. 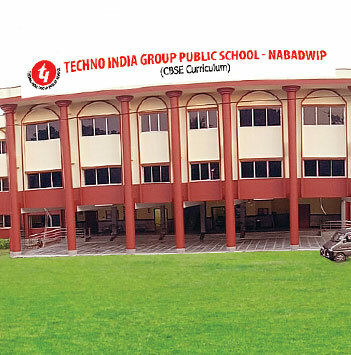 With a perfect academic environment, studying in a Techno India Group Public School means always being on the advantage-up side. 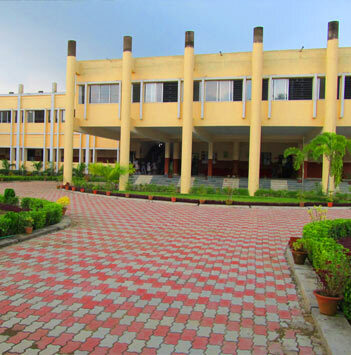 Classrooms are designed to make the students feel at home within an environment of cheerful hues, balanced lighting and careful positioning amidst the nature. 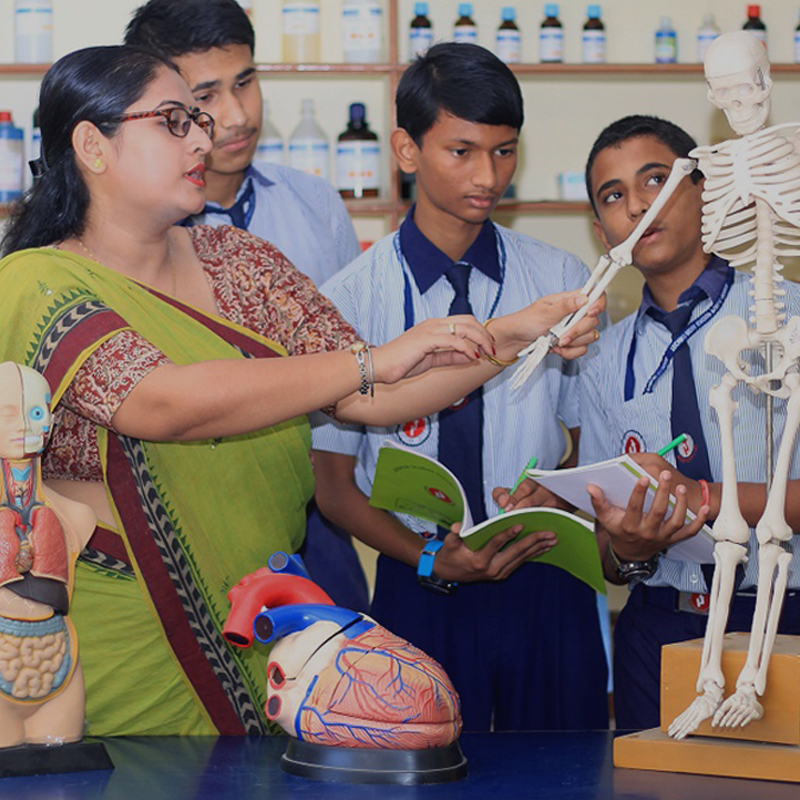 The schools follow a progressive educational system that provide a stimulating environment to the students to help them reach their optimum potential. 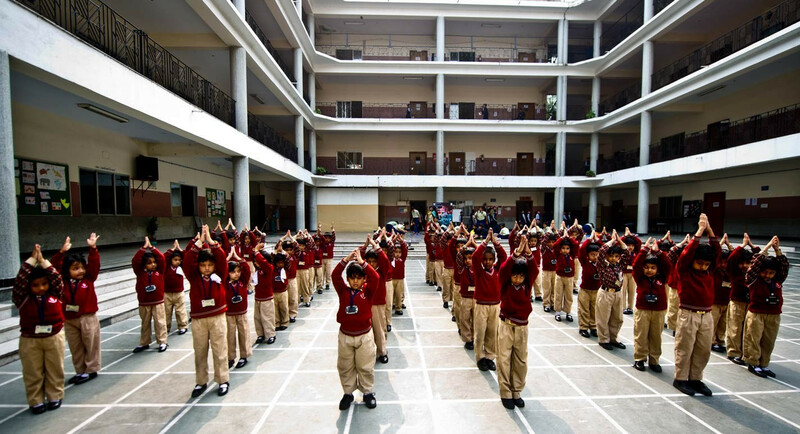 Education is integrated and activity-based. 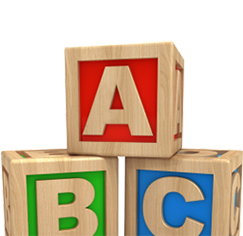 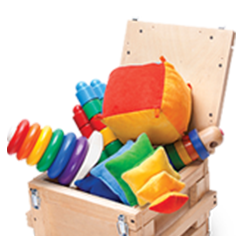 The progress of every child is assessed regularly. 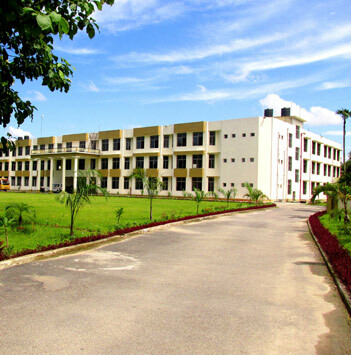 In this academic environment an individual is bound to grow in all aspects. 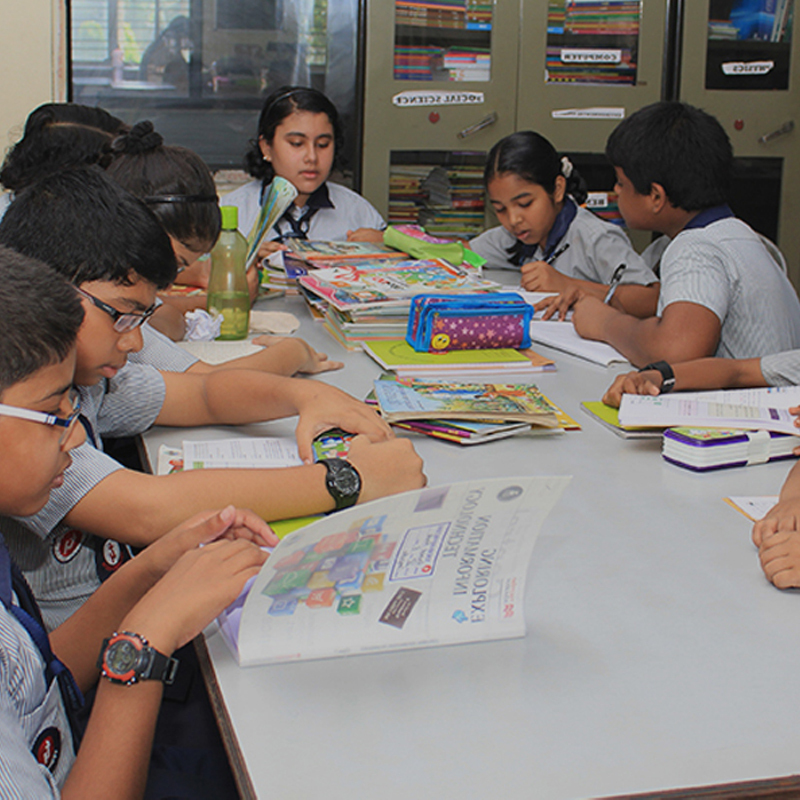 The overall progress of students is regularly assessed and their weekly and monthly improvements are recorded. 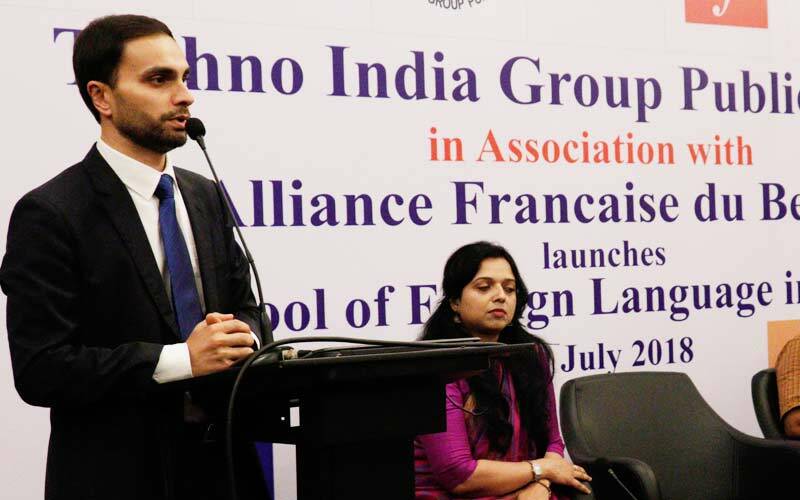 Kolkata, 19th July, 2018: It’s a moment of pride for Techno India Group to announce that ‘Alliance Francaise du Bengale’ for the very first time ever since 1940, has decided hand-in-hand with Techno India Group to expand its verticals outside Kolkata, West Bengal and spread its branches amidst the suburbs of North Bengal. 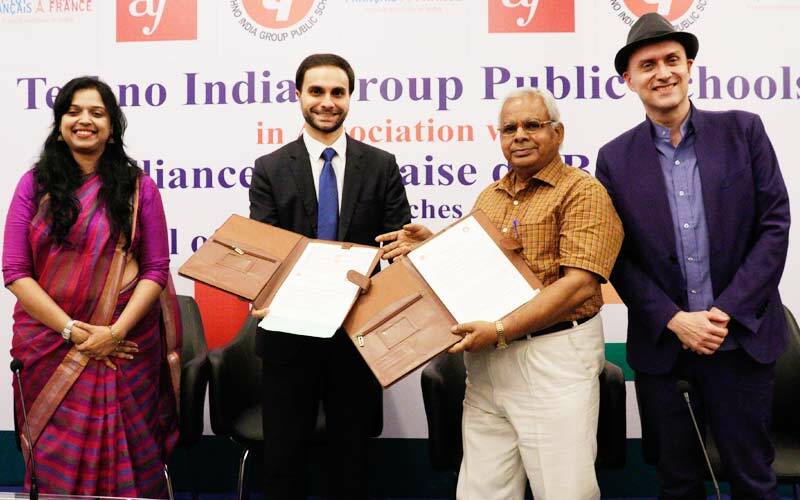 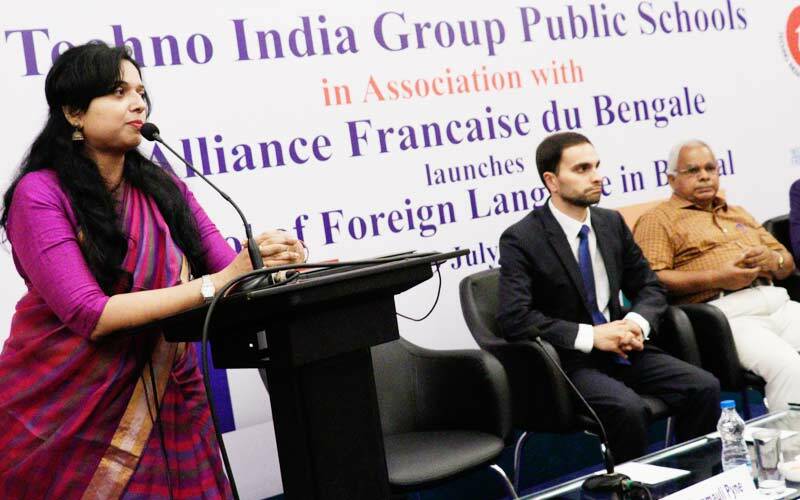 The memorandum signing between Alliance Francaise du Bengale and Techno India Group followed the grand announcement. 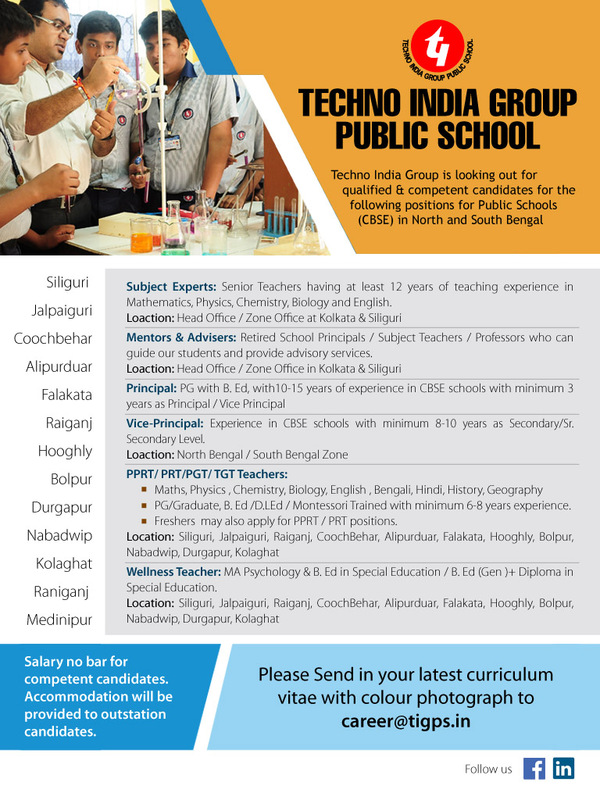 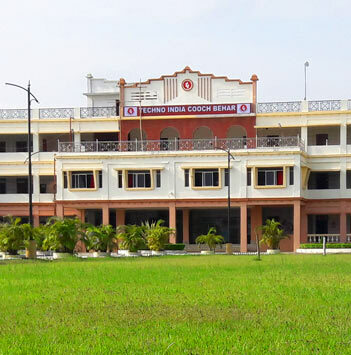 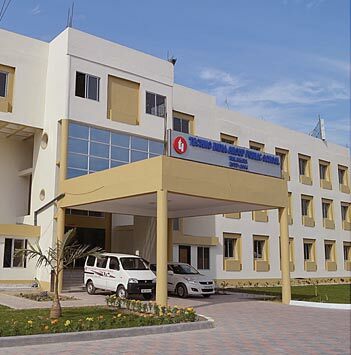 Techno India Group Public Schools are run by the largest education conglomerate of eastern India. 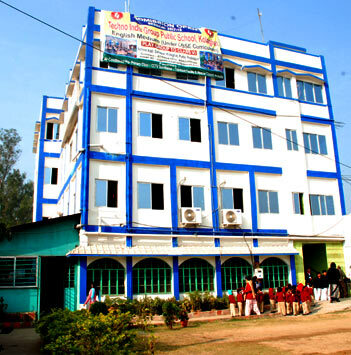 Smart classrooms is a comprehensive strategy for digital education in TIGPS schools. 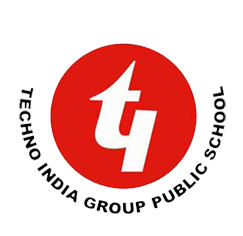 At all Techno India Group Public Schools, emphasis is laid on the overall development of the body, mind and spirit. 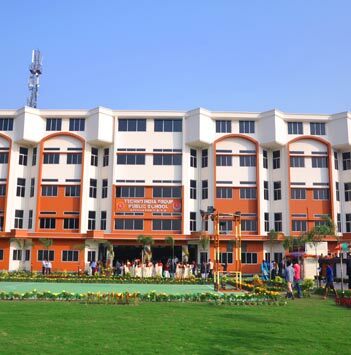 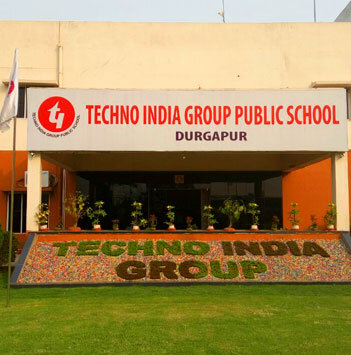 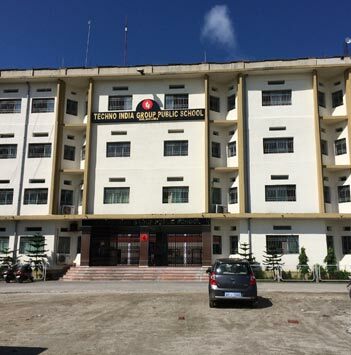 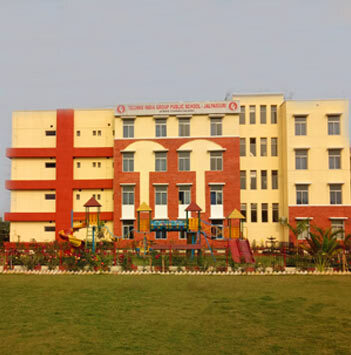 The Techno India Group Public Schools are all very well connected with all parts of the towns/ cities they are situated in. 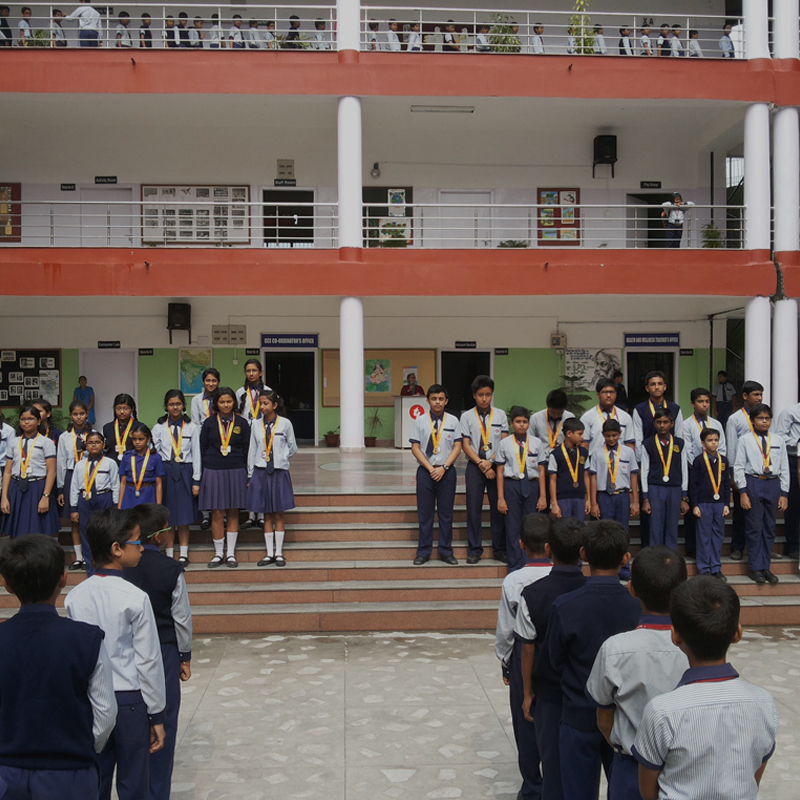 The Drama Club/Theatre Club adopts a different technique as it enhances the skills that lie within the children for theatre.